ORLANDO, Fla. - A new report proves that the streets aren't getting any safer for pedestrians, particularly the ones in Central Florida. Researchers examined data from the Fatality Analysis Reporting System on crashes between 2008 to 2017 to rank each metro area using the pedestrian danger index they devised. In that time frame, 49,340 pedestrians and non-motorists were killed across the country, with 5,433 of the deaths happening in Florida. More than 20 percent of the Florida deaths -- or 1,195 -- happened in the metro areas surrounding Orlando, Daytona Beach, Melbourne and Lakeland. The chart below, provided by the Dangerous by Design researchers, shows those cities, how many pedestrian deaths they experienced between 2008 to 2017 and how they ranked on the pedestrian danger index. According to the researchers, fatal pedestrian crashes are most likely to happen in lower-income communities, and the victims are disproportionately people of color and older adults. Even as improvements are made to vehicles to make them safer, the data shows that the number of people struck and killed while walking increased by 35 percent in the past decade with 2016 and 2017 being the deadliest years on record since 1990. 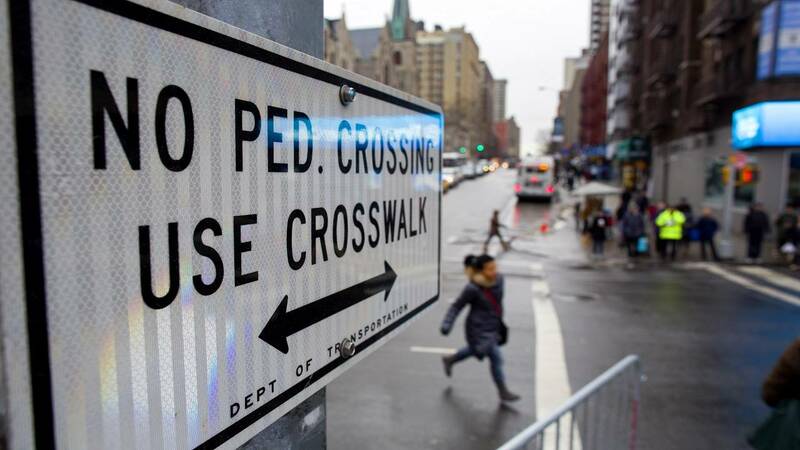 As far as what can be done to make the streets safer for pedestrians, researchers recommend that policymakers dedicate more funding to roadway improvements and to improve street design standards. To read the full Dangerous by Design report, click here. You can also see a map of fatal pedestrian crashes across the country below.